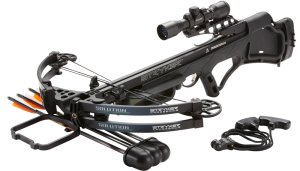 ELIGIBILITY: The Bowtech “Stryker ATA 2017” Sweepstakes (“Promotion”) is offered in and open only to legal residents of the United States & D.C., (defined herein as “U.S.”) and Canada (excluding Quebec) who are 18 years of age or older. Employees, officers and directors of Bowtech, Inc. (“Sponsor”), and those individuals and entities involved in the execution, preparation of materials and/or administration of this Promotion (collectively referred to herein as the “Promotion Entities”), and their immediate family members (spouse, siblings, children and parents including foster and step-relations) and those living in the same household as such individuals (whether or not related) are not eligible to enter. PROMOTION PERIOD: The Promotion begins on or about 12:00 am Pacific Time (“PT”) on or about January 3, 2017 and ends 11:59 pm PT on January 13, 2017 (“Promotion Period”). All time referenced herein is Pacific Time. Sponsor’s server’s time-keeping device shall be the official time keeping device for the Promotion. PARTICIPANTS ARE SOLELY RESPONSIBLE FOR DETERMINING THE CORRESPONDING TIME ZONE IN THEIR RESPECTIVE JURISDICTIONS; PROMOTION ENTITIES DISCLAIM ALL LIABILITY AND RESPONSIBILITY RELATING THERETO. HOW TO ENTER: During the Promotion Period, go to www.strykerxbow.com/ata (the “Website”), register by providing all required contact information and submit (“Entry”). Limit one (1) Entry per person during the entire Promotion Period. Failure to follow all steps will void Entry. 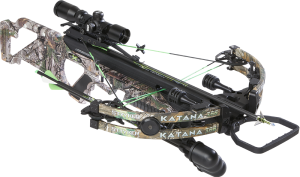 DRAWING/WINNER SELECTION: One (1) potential Prize winner(s) will be selected in a random drawing conducted at Bowtech Inc., 90554 OR-99, Eugene, OR 97402 at approximately 6p.m. Pacific Time by Sponsor (or its authorized representative) on or about January 17, 2017 following the end of the Promotion Period from among all eligible entries received during the Promotion. Sponsor or its authorized designee will notify the potential winner(s) via email and/or phone (in Sponsor’s sole discretion) with instructions on how to submit his/her name, email and/or physical address, phone number and any other required information in order for Sponsor to verify eligibility and deliver the prize. Potential winner must follow all instructions and may be required to sign, have notarized and return an Affidavit (or if Canadian, a Declaration) of Eligibility and Liability/Publicity Release (except where prohibited) and any other requested documents (“Release Documents”) within the time specified by Sponsor, or prize will be forfeited in its entirety and awarded to (an) alternate winner(s). Canadian potential winner(s) will be required to correctly respond, unaided to a mathematical skills testing question before being confirmed as a winner. PRIZE(S)/ODDS. 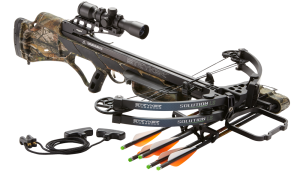 Grand Prize (1): Fullsize crossbow by Stryker Crossbow with approximate retail value (“ARV”): US$1000.00/$1,344.00). Limit one (1) prize per person, during the entire Promotion Period. Odds of winning depend on the number of eligible Entries received. All federal, state and local taxes on a prize are the sole responsibility of a U.S. winner. Prize will be shipped to winner’s legal residence within the U.S. or Canada (at Sponsor’s expense) on or within approx. 4 – 6 weeks after verification. Any difference in ARV and actual value will not be awarded in cash or otherwise. No transfer, assignment or substitution of a prize (in whole or in part) is allowed, except Sponsor reserves the right to substitute a prize of equal or greater value. Prize is not redeemable for cash or otherwise. All costs, fees and expenses not expressly stated as being included herein are the sole responsibility of a winner. CHOICE OF LAW/ARBITRATION: THIS SWEEPSTAKES IS GOVERNED BY THE LAWS OF THE UNITED STATES AND THE STATE OF OREGON RESPECT TO CONFLICT OF LAW DOCTRINES. As a condition of participating in this Promotion, except where prohibited by law, entrants agree that any and all disputes that cannot be resolved between the parties and causes of action arising out of or connected with this Promotion shall be resolved individually, without resort to any form of class action, exclusively before a neutral one person arbitration panel located in Eugene, OR having jurisdiction. 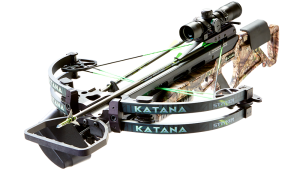 WINNER’S LIST: For winner’s name, contact Sponsor by mailing a self-addressed, sufficiently U.S./Canadian postage stamped envelope to: Bowtech Stryker ATA 2017, Winner List Request; 90554 OR-99, Eugene, OR 97402 Attn: Promotion Admin., for receipt by January 29th, 2017. Limit one (1) request per person, or per household. 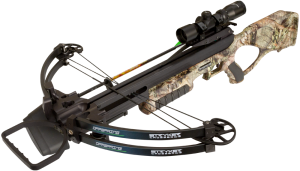 SPONSOR: Bowtech, Inc., 90554 Highway 99 North, Eugene, OR 97402.